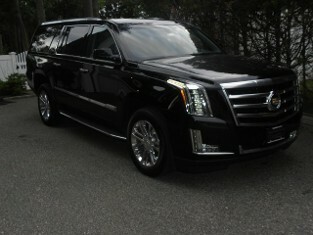 For private transportation with a personal touch, call on Exclusive SUV's Transport Inc. in New York City. We offer airport transportation and chauffeur service tailored to each client's needs. Whether you are traveling to the airport or throughout the city, it is our commitment to provide exceptional ground transportation with discretion and confidentiality. We cater to clients expecting a reliable ride as well seeking luxury and a knowledgeable chauffeur. Our exquisite fleet of vehicles includes the Mercedes-Benz s550™ sedan and the 2017 Cadillac Escalade™. For your convenience, we also provide complimentary water and periodicals on every trip. When you reserve one of our vehicles, rest assured we will be on location 15 minutes prior to the scheduled pick up time. We also welcome any last minute requests for example: running late for a meeting after airport arrival due to delays and would appreciate your luggage dropped at hotel reception or even a food order for your departure.. In addition to a standard point to point reservations we gladly accept last minute changes to itinerary. Reserve a chauffeur for just a few hour's or the day/night (show, concert, event) With all reservations, we ask that you allow at least 24 hours' advance notice so we may properly arrange your transportation. Contact us for well-appointed airport transportation or chauffeur service.